Full Range of Parryware Faucets on Display at Jayanagar Bangalore Complete range includes Jade, Coral, Agate, Pebble, Jasper, Crust, Galaxy, Tazzle, Sapphire, Uclid, Zen, Lapis. Full Range of ROCA faucets on Display at Jayanagar Bangalore Complete range includes Monojet, Monodin, Targa, L20, Logica, Escuarda, Esmai, Victotia, Puzzle, Torrente, Moai, Thesis, Evol. ROCA designer bathroom fittings. Beautify your bathrooms with ROCA. 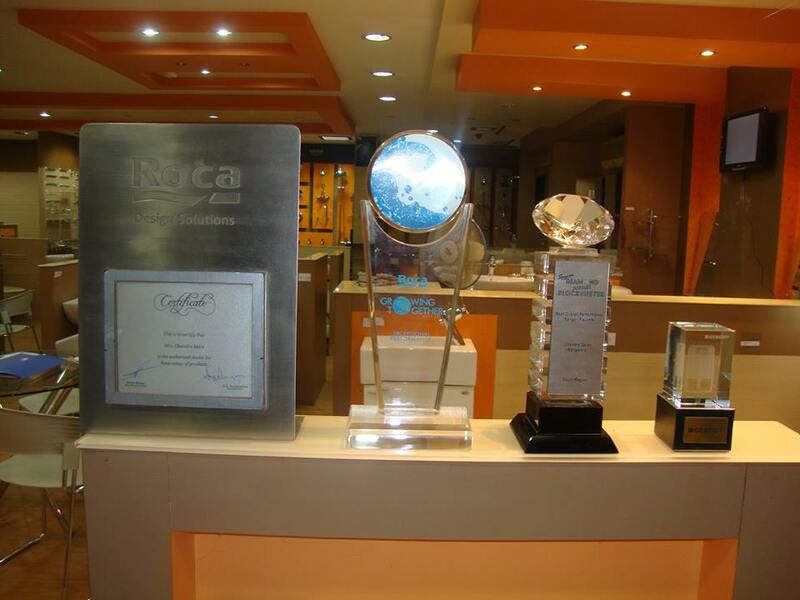 Complete display of ROCA products at Southend Circle, Bangalore.